Check out that near-perfect three-way split for the VWs! 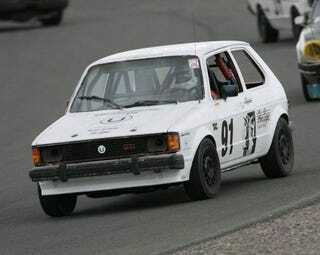 That means you just never know how you'll do when you bring a Golf or one of its cousins to a LeMons race. Will it grenade the engine? Maybe! Will the electrical system poop out? Could be! Or will the car keep buzzing around the track all weekend? It's happened!